Hi all! Sometimes our skin has damage due to wounds or acne, leaving the skin with uneven tones and marks. 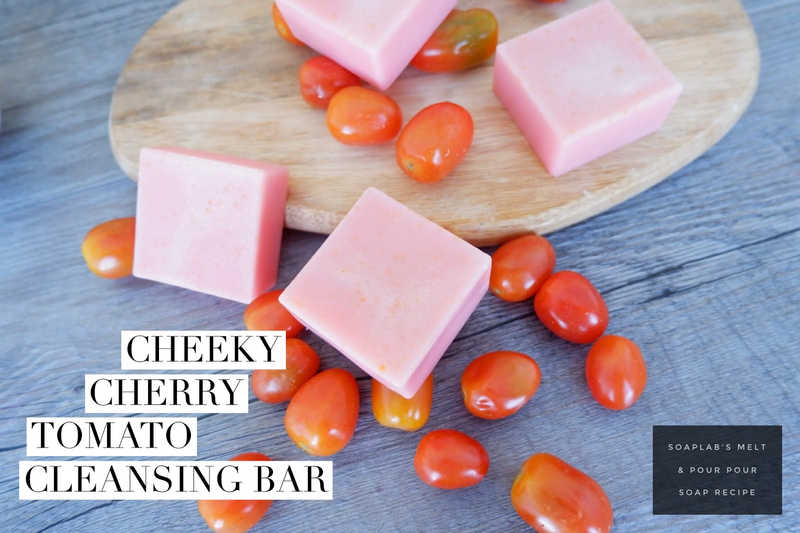 The Cherry Tomato soap will be able to fade imperfections on the skin. To make the soap you will need a three butter soap base with tomato juice. The soap base moisturizes and restores the brightness and vitality of the skin. Its 100% handmade in soaplab and we have added the three best butter we could find for this soap (Mango, Cocoa and shea Butter). We added loads of it so you know it will be great from the first use itself. Tomato juice is added to control excessive oiliness of the skin and clears the skin, helping old wounds or acne disappear. Lastly; add synstar red mica to replicate the color of a juicy tomato and black cherry fragrance oils for a strong and sweet smell.